Wildflowers of New England is for hikers, naturalists, gardeners, and anyone wishing to learn more about the region’s diverse wildflowers, or just wanting to know the answer to "What’s that plant?" Ted Elliman, a plant ecologist for the New England Wild Flower Society, describes and illustrates more than 1,000 species commonly found in all six New England states, including annuals, perennials, and biennials, both native and naturalized. 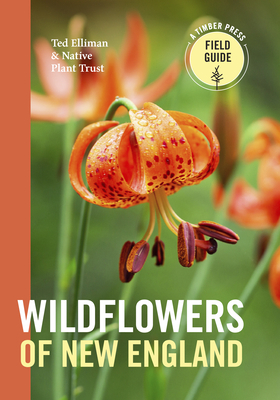 This helpful field guide uses a logical and convenient identification key based on flower color, petal arrangement, and leaf characteristics. One thousand color photographs help to confirm that you’ve got the right plant. The introduction includes an explanation of plant parts and information on plant names. Ted Elliman has been engaged in plant conservation in the Northeast for forty years. As a plant ecologist at the New England Wild Flower Society in Framingham, Massachusetts, he conducted botanical inventories, natural community surveys, and invasive species control programs. Elliman worked as a contract ecologist for the National Park Service, and he has written numerous articles on botanical subjects for conservation organizations, scientific journals, and state and federal environmental agencies. Founded in 1900 as the Society for the Protection of Native Plants, the New England Wild Flower Society is the nation’s oldest plant conservation organization and a recognized leader in native plant conservation, horticulture, and education. The Society’s headquarters, Garden in the Woods, is a renowned native plant botanic garden in Framingham, Massachusetts, that attracts visitors from all over the world. From this base, 25 staff and more than 700 volunteers work throughout New England to monitor and protect rare and endangered plants, collect and preserve seeds to ensure biological diversity, detect and control invasive species, conduct research, and offer a range of educational programs.